The Power of Agility for Everything NAS. For everything NAS, there’s IronWolf and IronWolf Pro. Always on and always working, IronWolf is enhanced with AgileArray technology for optimal reliability and system agility. Multi-user technology and extreme workload rates allow IronWolf to perform and scale up with your enterprise. NAS-optimised hard drive for the best-possible user experienceIronWolf Health Management in compatible NAS1 systems continuously helps to safeguard the health of your dataDrive balance with Rotational Vibration (RV) sensors manage multi-bay vibration for long-term consistent performance and reliabilityRAID performance optimised that maximises responsiveness and uptime with NAS-aware Error Recovery ControlAdvanced power management saves energy and delivers the right power at the right time1. IronWolf Health Management is only available in capacities of 4 TB and up. IronWolf Health Management is designed to operate on compatible NAS systems2 such as Synology and ASUSTOR. Populated with supported IronWolf or IronWolf Pro HDDs1 It improves the overall system reliability by displaying actionable prevention, intervention or recovery options for the user. 1. IronWolf Health Management features subject to change. 2. NAS vendors may vary in compatibility with IronWolf Health Management. Contact your Seagate sales representative for further details. First in its class, IronWolf drives are equipped with RV sensors on high capacity drives to maintain performance in multi-bay NAS enclosures. RV sensors on IronWolf Pro come standard, helping business and creative pros to have consistent performance for years to come. Do more with your NAS with multi-user optimisation. Enabling user workloads of up to 180 TB/year on IronWolf and 300 TB/year with IronWolf Pro, multiple users can confidently upload and download data to a NAS server. Whether you’re a creative pro or a small business, IronWolf is on your side. Your data is important and a Rescue plan provides peace of mind in case of unexpected data loss due to accidents or mechanical damage. The Rescue plan gives you access to a global team of world-class data recovery experts with 95% customer satisfaction rating. Purchase and register an IronWolf Pro drive to activate your free Rescue plan and you are covered for 2 years. Extended coverage options available at registration. 1. Rescue recovery services not available in all countries. 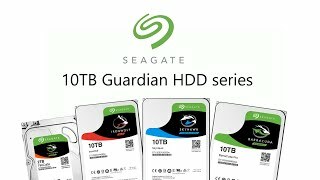 Please contact your Seagate sales representative for further details. Extensible and reliable storage helps keep you and your creative business on schedule. 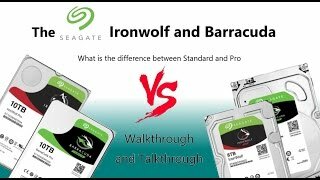 IronWolf and IronWolf Pro are great companions for your NAS for 24×7 remote access, backups and file sharing from anywhere, making sharing ideas easy. For growing agencies and the need for more storage, IronWolf and IronWolf Pro are built to address NAS scalability challenges. A thriving small business needs storage that can thrive with it. IronWolf is optimised for NAS in multi-RAID environments that not only the vibration, but also handle the high user workload rate in a high data traffic network. Enter multi-user technology — up to 180 TB/yr for IronWolf, up to 300 TB/yr for IronWolf Pro. Build your home NAS media empire with IronWolf HDDs. 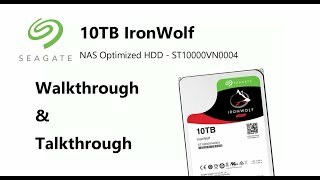 IronWolf and IronWolf Pro lead the class in storage capacity with drives as large as 10 TB, and the performance needed to run high definition content with your NAS. Store thousands of full-length HD films and even more photographs on your private server. Think of it as your home cloud. 1. IronWolf Health Management is only available in capacities of 4 TB and up.